I can custom design Wills, Durable or Healthcare Powers of Attorney, Living Wills, lifetime trusts or trusts set up in your Wills for individuals or couples. No adult and no couple with children with even a modest amount of real estate or personal property should be without a professionally crafted set of these documents to deal with end of life issues or unexpected serious illness or injury which may occur at any age. Making sure the documents are valid under South Carolina law and that they are properly executed is most important and will give you peace of mind that you cannot get from forms generated by you from online services with no lawyer present at the signing. Parents of young children need to make provisions by Will for who will serve as guardian of their minor children if anything should happen to both parents. Those divorcing or contemplating marriage need to have new documents prepared, because marriage invalidates an existing Will not prepared in contemplation of marriage. 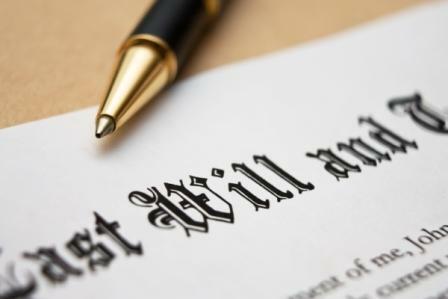 For those who have Estate administration responsibilities because they were appointed under a Will as Personal Representative (Executor), or because they have qualified as Personal Representative for someone who died without a Will, I can assist you as needed to perform your duties in the Probate Court. Most people with an education and some business experience can perform the duties of the Personal Representative with the assistance of South Carolina Probate Courts, which have elected judges in each county and which are very user friendly. However, due to time constraints or geographic distance from the local court, if you need help we can assist you. Also, if you are a family member and you have some concerns about the way an Estate is being administered ranging from the validity of a Will to undue delay, or to unfair or dishonest treatment of heirs of the decedent, I can investigate the situation for you and take legal action to intervene on your behalf if necessary.